"Personal Trainer" really doesn't do justice to what Mark Lebos is capable of. With a Master's in Exercise Physiology and a deep background in strength and endurance training as well as rehab therapy, he does much more than pump you up: His studio, Strong Gym, is your one-stop shop for all-around personal fitness without the bureaucratic B.S. of many other "physical therapy" places. Situated on a vibrant block bracketed by the Savannah Yoga Center and Halo modeling agency, Strong Gym's location couldn't be better. "We're a few blocks from Foxy Loxy and Starland that way, then Forsyth Park is even closer in the other direction," Lebos explains. "Sometimes we do what we call 'going to church' — I'll take a group across the street to Bull Street Baptist and run up and down the stairs. Sometimes we go to the park, sometimes we run around the block." Inside, Strong Gym is just as conducive to calmly focused action. "I try to keep it as clean, well-lit and comfortable as possible," he says of his immaculate place of business. "The color scheme is simple and monochromatic — I want the people to make it pop." Indeed, Lebos's clientele is from all walks of life, whether they be Gulfstream employees, local artists, or even, God forbid, writers. "I especially like working with clergy," he says. "We've got the whole mind-body thing going on here already, and then they bring in a little bit of the spiritual aspect." Spiritual is all well and good, but in Lebos' business you also need hardware. He's got plenty of that, in the form of state-of-the art exercise equipment that's very difficult, and in some cases impossible, to find elsewhere locally. He gets me on the treadmill he calls Strong Mountain. "This is better than elliptical. 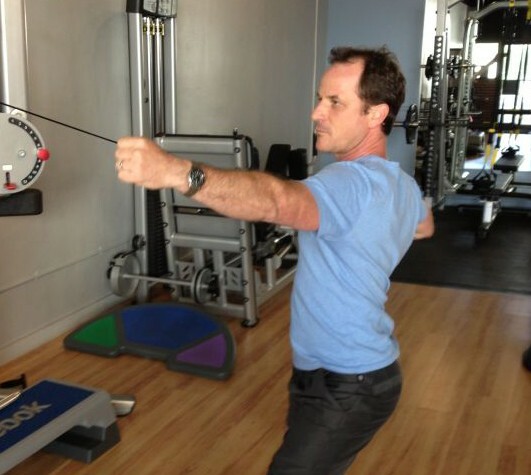 You get the full extension of the legs back — that extension is what really builds the glutes." Everybody wants that perfect body, but with Lebos' extensive background in rehab — he authored Memorial University Health Center's current cancer rehab protocol — he's also drawn to helping those with various other afflictions, whether they're challenged with multiple sclerosis, herniated backs, diabetes-related issues or blown-out ACLs. "Nobody walks in that door without having something wrong, whether it's a knee or a herniated disc," he says. "That's life, and that's what we deal with here." Everyone remain calm: The serene studio on Bull Street remains our readers' favorite spot for asanas for seven years in a row. Offering a variety of classes for all levels from dawn 'til dusk, Savannah Yoga Center also hosts teacher trainings, retreats and special gatherings: All you have to do is show up. A cadre of licensed massage therapists brings healing hands at this downtown oasis at the corner of Bull and Broughton streets. Each session can be tailored to individual needs, but we're coveting a Raindrop Aromatherapy Massage or a Duchess Rose Indian Head, Neck & Shoulder treatment. Owner Carol Daly-Wilder and instructor Adrienne Cherry keep cores strong and spines stretched with a variety of techniques that utilize mats, pulley systems, reformers and chairs. Yo, you work out? The Y's weight rooms, cardio floor, class schedule and friendly day care facilities keep Savannahians in shape at multiple locations. The avid cyclist and triathlete helps others keep their bones and muscles in tip top shape while applying sport medicine to various injuries. Filling your prescription is a joy when it comes with a staff of friendly, knowledgeable pharmacists and the ability to also purchase greeting cards, lawn chairs, nail polish, fuzzy socks and other drugstore necessities. Once again St. Joe's/Candler wins our readers' trust for best hospital experience with its cutting edge technology and preventative health education programming. Should you ever have need to go the emergency room, however, your grandma reminds you to always wear clean underwear. Savannah's furry folks let their humans know that Central Animal Hospital deserves to keep their 2012 title. A solid anchor in the perpetually up-and-coming Starland District, the pet clinic stays busy serving a clientele that spans from Georgetown to Bluffton, SC. "I have to attribute our success to our sole ideal: Caring," says Dr. Alex Hill, the veterinarian who took over the practice in 2005. "We have a great staff, and we love animals." Dr. Hill practices with Dr. Cara Hammonds and Dr. Daniel Iyer, who are in turn accompanied by a crew of friendly receptionists and capable technicians. Both pets and their owners feel welcome in the airy, open facility, which boasts a digital x-ray, ultrasound and surgical functions. Though he's been tending to dogs and cats for more than 16 years, it may be surprising to know that Dr. Hill didn't start out in animal medicine. He spent his undergrad years at Harvard, where he studied business and law, then put in a few years on Wall Street before giving up the rat race for more charming animals. He found his true calling when he enrolled in the University of Georgia's veterinary sciences program. "I can't say enough good things about the education I got at Georgia," he says. These days Dr. Hil spends time educating humans about how to keep their pets healthy and is often accompanied by an exuberant mixed breed pup named Eli. He wants to remind all pet owners to keep up on their dog's heartworm prevention medication as the disease is transmitted by mosquitoes (those ubiquitous pests aren't just a nuisance to humans!) He plans to continue serving Savannah and its beloved pets for a long time. "If you care and you practice good medicine, the rest will follow." Not just for minor infections and small bumps and bruises! Urgent Care 24/7 provides full-service adult and pediatric medical care, including testing and routine physicals, at four locations including downtown Savannah, Tybee Island, Sandfly and Pooler. Special delivery! The nurse manager at The Midwife Group and Birth Center helps bring new babies into the world and cares for new mamas as they recover. Around these parts, Dr. Pettigrew gets high marks for taking care of lady parts. The mother of three also knows that women's health includes managing stress. Her advice: "I wish more of my patients would stop putting themselves last on their list ... I try to tell them that you can take better care of your loved ones if you take better care of yourself." A Certified Nurse Midwife, Whitfield provides complete care during the birthing process at The Midwife Group and Birth Center on Chatham Parkway. Serving coastal Georgia for 25 years, the center offers natural childbirth education, breastfeeding support and nurturing postpartum attention. Dude, you epidermis is showing...and you may want to get that mole looked at. Readers voted Dr. Sidney P. Smith, Dr. Richard Parker, Dr. Angela Rowden and their staff of nurses and medical assistants as the team to care for your body's largest organ. After getting her Master's in Traditional Chinese medicine and apprenticing under longtime Savannah acupuncturist Dr. Tao, Fawn began Hidden Well Acupuncture in 1998. Among the first acupuncturists in the state, her infectious enthusiasm for learning and healing is ever evident. Today, she is a senior student under the Taoist Master and renowned Classical Chinese Medical historian, Jeffrey Yuen. As well, Fawn is undertaking her doctorate through the American University of Complementary Medicine where Dr. Yuen shares treasures of his ancient lineage dating back to the Han Dynasty. Don't call it bone crackin'! In practice for over 37 years, Chris Whelan gently guides backs and necks into their optimal positions to treat pain, sciatica and injuries. Savannah native Dr. Howard of Howard Family Dental is the first choice for those looking to keep their teeth happy and healthy. Did you floss today? Dr. Bradley wins again for his sound medical advice and kind bedside manner. Also a staunch general in the fight against obesity and its cousin, Tybe 2 diabetes, the good doctor continues to help patients lose weight at his clinic Ourlife. All eyes are on Dr. Miller, who focuses on refractive surgery and other ophthamological treatments at the Georgia Eye Institute. A little therapy never hurt anyone. Whether you're dealing with anger management, relationship issues or resolving old childhood wounds, Ms. Wallace is our readers' pick for the person to help you get your head on straight. Those seeking a nip, tuck or major reconstructive surgery trust Dr. Dascombe, who practices at the Georgia Institute for Plastic Surgery. Dr. Dog (and Cat and Bunny and Ferret) Whisperer wins again as your favorite person to care for your four-legged friends at the Eastside Veterinary Hospital in Thunderbolt. A shave and haircut might cost more than two bits these days, but the squad at this perpetual readers' favorite will have you lookin' sharp for a decent price. Trust your tresses to this four-time winner, renowned for its cutting edge styles and colors. Nikki Edwards and her team of scissor-wielding stylists make it their business to bring out every client's distinctive beauty. The well-coiffed people who sit in Renata's chair at Salon Aqua (a new location for this longtime Savannah stylist) know she's a head above the rest: This win makes her third year in a row! Whether you're looking for a few subtle highlights or want to rock some fuchsia and turquoise stripes, no one knows the hair rainbow palette like Nikki. Longtime champ Golden Nails is Savannah's best place to deal with your digits. Hands and feet get luxurious treatment from Cora Lynn, who operates out of Spa Bleu. After we finish writing up this issue, we're calling her for a Rosemary-Mint Organic Foot Ritual! Wrinkles, thin eyebrows and dull skin are no match for Glow's menu of superpowers, er, services. Botox, Juvederm, eyelash extensions, permanent make-up and other anti-aging breakthroughs are available at the posh facility on Eisenhower. Readers who know how to treat themselves right again chose this tranquil oasis just steps off busy Broughton Street to pamper their mind, body and soul. The reigning champ of the sun-kissed glow keeps our readers bronzed, beautiful and out of the sun with two locations. This won't hurt a bit: The Abercorn boutique remains the top stud when it comes to body jewelry. Ink about it: Owners Chris and Brooke Autry and their crew of talented artists must be doing something right to stay Savannah's number one stop for skin décor. Pick up a kayak, a pair of Tevas, a metal water bottle, a sweet pair of cargo shorts and you're styled for a day on the water. Don't forget the sunscreen! Once again, the home of the PGA Champions Tour and the Liberty Mutual Insurance Legends of Golf Tournament sinks the win with its grand marsh views and super-stocked pro shop. Pooler's slickest hotspot boasts 28 lanes to knock down those pins to your heart's content. Full food and beverage service plus laser tag and an arcade makes for hours of family fun. Tucked back in Turner's Creek lies your favorite place to dock your boat, clean your gear, grab a cold one and tell anyone who will listen about the one that got away. A mile and half of paved track, a dog park, soccer fields, huge old oaks, a fishing pond, a baseball stadium and a public swimming pool — we're glad to see Savannah's east side outdoor haven is finally getting some love. It just wouldn't be summer without the boys running the bases at historic Grayson Stadium. See you at the game — Connect Savannah sponsors Thirsty Thursdays! The AASU women's soccer coach just completed his ninth season with the Pirates, leading his team of lightning fast ladies to the NCAA Southeast Region title for a second straight year and this year's NCAA Championship quarterfinals. Three (maybe four) concussions, a blown arch in her left foot, a shredded rotator cuff, a torn meniscus, countless sprained ankles and perpetual shin splints. 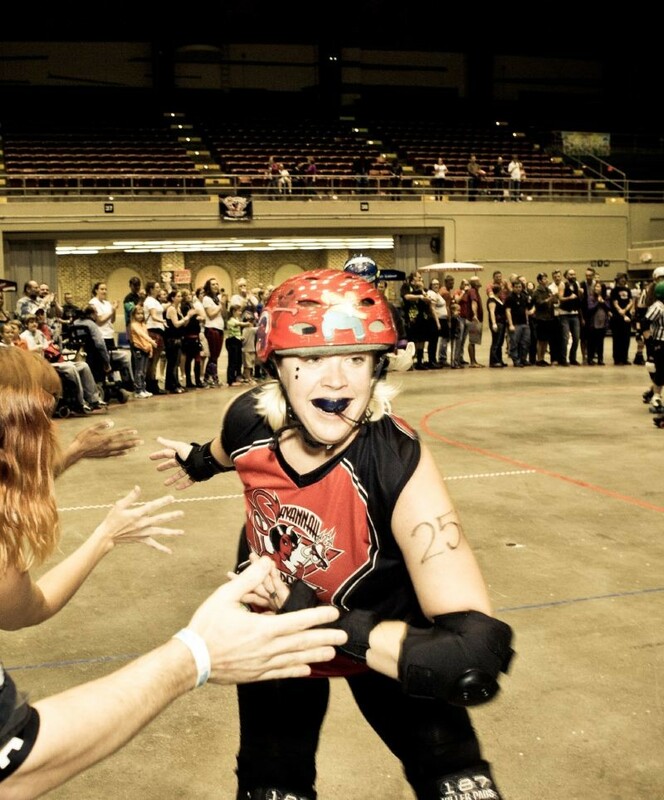 “Roller derby shows women’s strength more than any other sport on earth,” avows Ms. Felony, whose skating jersey displays the number 25-to-Life. When the skates come off, Felony is a registered nurse named Melanie Geronimos, a native of Forest, VA. She grew up playing softball and threw a wicked fast pitch for her alma mater, James Madison University, but gave up athletic pursuits until she moved to Savannah in 2007. She had no derby experience when she banded with the Devils that same year, but her willingness to be pushed into other people’s way as the “sacrificial lamb” made up for her lack of skating finesse. She evolved quickly into one of the team’s most valuable defensive players, missing just six bouts in the last six seasons. “Being voted the best athlete in Savannah is such a cool honor because this is the coolest place I’ve ever lived,” she says. Felony Melanie plans on dominating the rest of the derby season while pursuing her new hobby, racing beater cars with her husband, Chris, a Gulfstream mechanic and former Derby Devils coach. She’s also stoked about the recent formation of the FelMel Fan Club, though membership is exclusive and consists only of two grinning sycophants named Matt and Irv. Though Felony Melanie is not nearly as terrifying in person as she is on the track, don’t make the mistake of comparing roller derby to a plain old workout. In its seventh season of menace and mayhem, the Derby Devils have skidded up a notch this year with an apprenticeship with the Women's Flat Track Derby Association. Bouts now include All-Star A Team as well as the B Team, the Hostess City Hellions. It was a banner season for these kickin' athletes: 19-2-2. Roster standouts include senior forward Morgan Mitchell, the 20132 Peach Belt Conference Player of the Year, and senior defender Emily Cattanach; both earned NSCAA Scholar All-America honors. BC's Cadets played hard this season on their new home turf at Savannah State, though the recently-classified AA team ultimately lost to Lamar County Trojans in the playoffs. Seems like everyone had on their pumped-up kicks for the second annual event — around 17,000 runners rocked their way around the city on an improved course while being serenaded by local musicians. Folks are now training year-round for the marathon, which has contracted with the city through 2016.